No Time to Build a Business? – No Problem! Have you ever noticed that if you want something done, you often ask someone who is already really busy? The truth is, if someone is busy, they already know the value of their time and they have learned to prioritize and focus on their priorities. As a matter of fact, today I had this exact conversation with a new client who wants to start her own holistic health practice. She began by renting a space one day per week (nothing like commitment to hold your feet to the fire), then saw that she needed to know more about marketing. After renting space for a couple of months, she realized that she didn’t know how to attract clients. All of us came at this honestly, so nothing wrong with this picture. In fact, instead of wasting a lot of time on renting an empty space, she saw the need to learn about marketing very quickly. It personally took me a bit more time to catch up on that principle, when I started my first business 20 years ago. 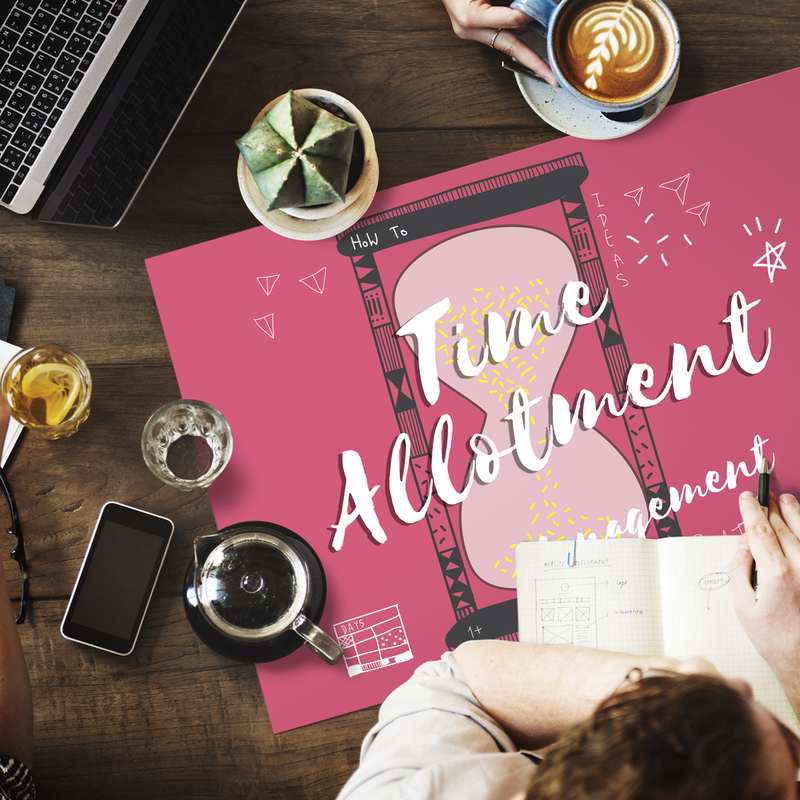 After, doing the initial intake, where we discussed what she wanted her business to look like and especially why she wanted to create it, the next step became to make time in her busy schedule to work on her business, not in her business. For most people, that distinction is unknown, so for clarification purposes, working in your business as a service provider means the time you meet with clients, also called “billable time” and working on your business is when you do everything else to get clients. Think of all the departments that are included in a larger company; marketing, operations, technology, accounting and finances, human resources, training, facilities management etc.. there is a lot to think about and quite frankly as a one person business, which is where most of us start, we can get quickly overwhelmed, hence the need to prioritize, focus and delegate. If you add homeownership and family responsibilities, it is easy to see why very few people make the choice to start a business. The second thing I do, after guiding my clients to clarify the “what” and “why” of their business is to focus on helping them create time to work on their business. Now mind you, we don’t really create time, we make time for what truly matters. Years back, when I was the sole manager, front desk person, marketing,accounting,staff manager, and operations implementer (whew!) of my joint business with my husband, I worked 6 and 1/2 days a week. This resulted in burnout after three years. I hired a coach to help me see the forest from the trees. I “knew” that there had to be a better way, yet I couldn’t find it. I felt as though I had to be “all things to all people”. I felt responsible to hold all the roles, to be there all the time and to have my hands and feet in all the pots and pans. In summary, the perfect recipe for burnout. My coach was very clear that I had to focus on what I wanted to do- not what “had to be done”- for my own sanity, delegate/sub-contract/ hire people to take over the stuff that I didn’t want to do. 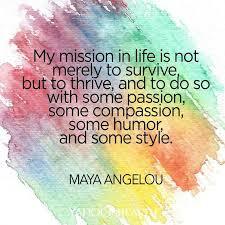 Because when you do what you love, you thrive! Time blocking became the concept that I gained the most value from. Time blocking is literally about blocking time in your calendar to get things done. In order to be successful at time blocking, you first have to know what to focus on- set goals, prioritize, chunk it down and put the tasks into your calendar the same way you would put a client’s appointment into your calendar, except that this time, the appointment is with a member of your “inner team”. Then, you turn off everything, email, cell phone, business phone etc. and focus on getting the job done within a specific time frame and don’t get up until it is done. Assuming that you already know what your vision is (if not, refer to the “vision” blog post and handout) and why you want it, then you have to set clear goals. When you start a business, the goal is plain and simple- get clients! Break down that goal into action steps. Clarify the marketing action steps that you need to take to get those clients. Refer to your marketing strategy (simpler than it sounds). Choose one action step that you will implement per week. The single most important to do again when you start a business is focus on marketing- getting the word out at the lowest cost possible, assuming that you are sole proprietor with a limited budget, which is what most of my clients are. Simple marketing action steps can be; get a business card, create, print and post a flyer, send an email announcing to everyone that you are in business, network- make coffee dates with people you know to let them know that you are in business, you get the gist of this, I am certain. Assess how long each action step will take. It is very important to be realistic here. In fact, I compared this step as keeping a “food journal”. Often when I coach people on balancing their food intake, I tell them to keep track without changing anything for three days of what they eat, their feeding schedule, how they feel before and after they eat and why they eat if they were not hungry. Being realistic means that you know that it will take you one hour, not 30 minutes to write a blog post. Block your calendar for periods of time when you work on your business. For example, since I heard of that concept, I have kept Monday and Friday afternoons as my time to work on my business. Within that timeframe, block the time needed for each task. Give yourself a 10 min. break in between each task to check email, get tea, stretch and go back to work, shutting down everything again. Once everything is done.. CELEBRATE!! Let’s face it, when you work for yourself, aside from your clients thanking you and your satisfaction for a job well done, no one else but you will be there to acknowledge that you did the work!! Take a deep breath and acknowledge yourself for doing it.. The path of entrepreneurship is a lonely path, and more often than not, we deal with frustrations, especially when we start so give yourself a break..
Heart Centered in Business, what does it Mean? Sometimes it seems contradictory to mix these two concepts, doesn’t it? When I used to think about business, I would think words such as practical, down to earth, get things done, fix problems, get results, learn the ABC of marketing, pay bills, etc. None of these words are wrong, that’s for sure. To be in business, you have to have something to sell; a product or service (yes I know for some of us it sounds like a dirty word), have a way to market what you have to sell (marketing), you have to deliver your product or service (customer service), communicate to your customers (technology), keep tracks of revenues and expenses (bookkeeping and accounting), have a place to work from and keep your products if you have them (operations) and build a team to help you (human resources). All of this can really get your head spinning, so how do you keep yourself “heart centered”? 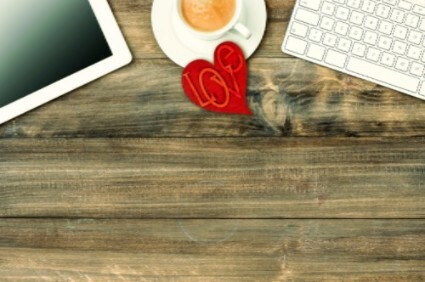 Here are some tips to help keep you connected to your heart as a business owner. Have a daily practice doing something that helps you connect to your heart. Nature walks, listen to music and move, meditate and/or practice yoga, write in your journal, talk to a trusted friend. For example, I will give up 30 minutes on my sleeping schedule to make time for my daily meditation because I know that everything will roll from there. I will be more centered and calm, I will know what is a priority differentiating tasks from urgent to important (from the 4 quadrants in the First Things First book from Stephen Covey) and will be able to find my bearings if I lose them. In short, I will stay connected to what matters the most during my day. What is the ONE THING that you can do daily to keep you stay centered? Build your business doing something you love. It may sounds obvious and I have been guilty of doing the opposite, doing things that I am really good at, that do not excite me. I became so good at doing them that I lost track of what truly mattered. Are you doing something you truly love? Are you building a business that helps you shine your gifts and talents and that makes your heart sing? If not, then maybe it is time to re-evaluate and focus on what you love.. What do you love? Prioritize your “to do list” in function of what makes your heart sing. Every day, begin your day focusing on what makes your heart sing. Once you get started, it will generate energy that will help you carry through the tasks that are less than ideal for you. Identify the top three things that gives you energy daily from your “to do list” and focus on them. Keep your stress level at bay. Keep track of what you feel in your mind-body and the stress level that is being generated by your day/people/tasks. Focus on gratitude- it is the fuel of the heart. Appreciate yourself for doing what you do. Focus on what works, the small things that people do for you, or things that are going well. Keep your mind on what is working. Thank yourself, the universe, your body and health, your friends and family and especially your clients for being in business with you. When you burnout, you are of no service to anyone. You may get cranky and say or do things that you will regret later. A vacation doesn’t mean that you go far away. It maybe what we call a “wellness day”. Yes I do mean it.. love your clients. When they come to you, send them a secret message from your heart that lets them feel how much you appreciate them. If you cannot identify one thing, maybe it is time to rethink who you are working with. Focus on your niche: work with people that you are truly inspired to help. Send thank you notes from time to time or give a small gift or extra time as a token of your appreciation. Share with me.. HOW DO YOU KEEP YOUR BUSINESS “HEART CENTERED”? In times of transitions – listen to your heart! Almost three years ago now, life threw me a curveball. I was gaining momentum in my business. I had worked for at least 6 months to build my coaching business by starting a Meetup group, giving FREE workshops, reaching out to different people. On the second week of July, clients came pouring from everywhere. I gained 8 clients in one week, which financially sustained me through the next 6 months. Lo and behold, I did not know that a week later, I was about to have my life turned upside down and inside out. I was on the brink of breaking up with my husband of 23 years and get diagnosed with breast cancer. The universe was watching over me. I had just gotten enrolled in Wendy DeRosa’s Intuitive Healer training program and never realized how important this program would be for me. I was curious at first. I had been a client of Wendy’s energy healing sessions when I got diagnosed with Epstein Barr a few years prior to that. I had been told by Dr. Mona Lisa Schulz MD, a medical intuitive in addition to being a regular MD who reads “illness and its energetic root causes” based on the chakra system. My first chakra had been “uprooted”. Logically, my history of being in foster care throughout my childhood made sense in relation to the “uprooted feeling” because first chakra relates to family, home, health and money. What I didn’t know was that the impact on my energy system depleted my immune system and overall my health. I didn’t know much about energy healing, yet I was curious when I reached out to Wendy for a series of 10 healing sessions. When she announced that she was leading an online training program 3 years ago, I decided to sign up. I was curious about chakras, intuition, guidance and angels. One of the key cornerstones of Wendy’s program is based on learning to follow and be guided by our intuition. You can download a free recording from her at www.schoolofintuitivestudies.com. A year prior to that, I had also entered a Psycho-therapeutic Mind Body Healing training program at Hartford Family Institute (HFI) where I was learning about energetic “blocks” in the mind-body systems that are caused by childhood trauma. Those two programs carried me through one of the most challenging time of my life. I remember one of my trainers at HFI telling me that I needed to open my heart and listen to it more than my brain when I was working as a therapist. It was puzzling at first. I didn’t know what it actually meant. 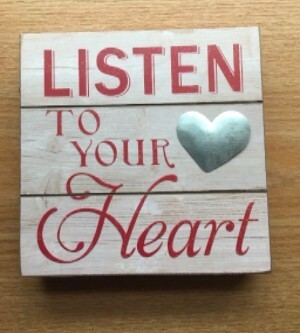 Of course, like everyone else I had heard that many times, “listen to your heart,” as a practical approach in dealing with life and working with people, but I didn’t know what it truly meant. I had learned to rely on my brain and knowledge gained to make decisions my whole life and to shift from my brain to my heart was no small feat. Because, it is said in all the ancient religious and spiritual texts, that the heart is the seat of the soul. The messages that we get from our heart are very simple, yet powerful messages. They help us identify what we love and help us find our way in times of chaos by calming down the mind and finding peace when we feel loved. They tell us when we are hurting and need comforting. They tell us when something doesn’t feel “right”. Our heart can help us navigate through the most challenging times of our life. The world “Courage” comes from the word “Coeur” in French which means heart. Having courage means having a strong heart- inner strength and bravery. So, in times of transitions, listening to your heart is bound to give you the strength and guidance you need to make your next move. The main key component is that you must get quiet in order to hear the simple guidance that you will receive. Put a hand on your heart- The simplest way is to close your eyes, put a hand on your heart, breathe deeply, ask a question and listen for the answer. Go for a walk in nature, breathe, let your mind ask for clarity on a topic.. and listen for the answer. Check out Wendy’s book “Expanding Your Heart” that includes 4 recordings that you can download after you purchase the book. Journal– there are a few good books on the value of what is called “automatic writing”. I combine this type of writing with my daily meditation. I often start with a prayer asking for guidance, then take my journal and begin writing until I get clarity. Feel your heart– what makes you happy, joyful, tender are the activities, the people, and the environments that make your heart sign. Pay attention to your heart’s clues. Feel free to post your comments by responding on this blog post by clicking this link or email me directly to let me know what works for you..
How do you listen to your heart in times of transition or at any time? What is Your Heart’s Purpose? More often than not, when people come to coach with me, they want to build and grow a business doing what they love or what they’ve become good at. The challenge is that, when we become good at doing something, we can get confused between doing something we are good at instead of doing something we really want to do. A few years back, I used to say that I became an expert in a variety of things, in fact, I excelled at being very good at things that I truly didn’t care much for. I offered my massage therapy services in my twenties and early thirties to pay for other courses. I was very good at it, yet it wasn’t fueling my passion. Because of that, I didn’t really care how I presented myself. In fact, I was really upfront about what I didn’t do and what I did best. I attracted people who liked deep tissue massage. Last year I happen to have that conversation with one of my students. I was making “small talk” and asked her the following “if your life came to an end, would it feel “unfinished?” Is there something you wanted to do and never did”? When I saw her emotional reaction I knew that we had touched on a “raw nerve.” I offered to meet with her for a “breakthrough session” to dig deeper into the fear. Once the session was over, she “knew” that the time had come to begin writing the book and she enrolled in my six month program. The climb was steep. Between making time between the kids, the house chores and overcoming the inner resistance, we had our work cut out. One day, when we finally lined up her efforts with her deeper heart’s purpose, the resistance melted away and the book got done in less than 4 months. When you tap into your heart’s purpose, the energy that gets freed up is tremendous, you literally tap into the energy that creates worlds. “What am I here for” and “what is my life/work contribution to this world supposed to be”, you tap into a well of energy that makes you become unstoppable. This isn’t to say you will not encounter resistance, you will; yet the energy that you will tap into will be at the core of your heart and soul. 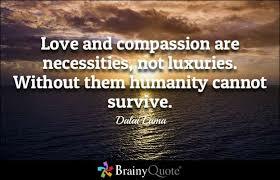 Because life is short, working for money only can become meaningless and quite frankly all of us are unique in our incarnation and are meant to share with the world our unique perspective. We all have gifts and talents, and it matters how we share them. Not everyone of us is meant to create a business, because let’s face it, the path of entrepreneurship will challenge you to the core, yet at the same time, living and working your purpose is really what it’s about. Especially in these challenging times. Aligning with your heart and putting your actions forward based on that will create a ripple effect that will make your world and the world at large a better place. Email me if you want help in clarifying what your purpose is.Setup a “Purpose Breakthrough session” with me. Until we speak again.. let your heart speaks its truth! In 1995, I went back to school to finish my BA I had started in Montreal a few years prior. I had studied psychology and dance and decided to add a few business courses. I chose a program that gave me freedom. It was a “University Without Walls” format that allowed me to mix in online and in-person classes from anywhere. At the end, to complete the program, I had to submit a research paper that counted for 6 credits. After the elections, I was inspired to create a new program. I saw how irate people were, how deeply powerless they felt, myself included. His comment really “hit home”, I decided to make it my mission this year to help people who want to make a difference in the world, take action. This year, I am launching a new program, “Change Makers On Fire”. How do you become a change maker? You begin at “home”. Home is where the heart is. What you have had to overcome in your life has guided you. It has taught you something about who you are, your strengths, your talents. It has made you resourceful. It has given you passion, beliefs in certain values more important than others. It also guides you towards what you want.. even if you don’t have the full picture, your heart knows what you are here for! Being a “change maker” is about bringing change in the “here and now” with every person you encounter. It is about making a difference in your immediate world then in the larger world. Or join me for my upcoming workshop..
How do you know what you are here for? Look at your life, the challenges you have had to overcome, the lessons learned, the strengths you gained from overcoming those challenges, the deep seated values that you stand for and you’ll know what you are here for. We are “spirit embodied”, a spiritual being having a temporary human experience. That means that we all came here to evolve, to grow and overcome something, it is called our “soul’s mission”. For some of us the ride is rougher than for others. Most of the time, what we have had to overcome has given us strength and resiliency. My own childhood was spent in foster care for 7 years. My entire life has been dedicated to two things; personal/spiritual growth and business growth. I don’t have an official PhD; yet I have spent countless hours (and money) learning to overcome my childhood adversities. I know what feelings are, I know how beliefs get formed and how they, in turn perpetuate deeply ingrained feelings that then turn into action or lack thereof. Mind/body memories and beliefs are powerful and can be limiting to us unless we know what they are. We become the “victim” of what happened to us because we are not aware of the impact our thoughts and beliefs have on us. I’ve made it my life mission to help others overcome their own adversities, tap into their own wisdom and put their action behind their passion. I also happen to have a knack for business. Years back, I was lucky enough to have a father-in-law who told me to take business classes when I decided to go back to school to finish my BA. I ended up taking business classes on both the undergraduate and graduate level. The challenges of your life experience have made you believe in certain things, have created a desire inside your heart to make a difference somewhere. 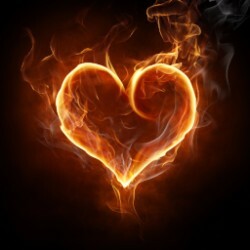 I truly believe that our passion is already there awaiting to unfold in our heart. A friend of mine a couple of months back was trying to make a decision in regards to her work. She claimed that she didn’t know what her life purpose was. I simply LOVE that statement, because one of my natural gifts is to have that “sense or intuition” that allows me to be able to help people find out what they love. If someone is willing, I always know how to help them find the answer to what they are looking for. The full picture may not revealed itself in one session yet the beginning of the answer will appear. I did not know her very well because she was a new friend.. yet I knew that I could help because of my 20 years of coaching experience. 1) Is there something that you truly believe in your life, something that you have learned the hard way and want to help the world with? 2) Have you had to overcome challenges that you would like to help others with? 3) What difference would you like to make in the world? I responded “one step at the time”. She signed up to be trained as a volunteer with a local organization that works with women who have suffered abuse. This question sometimes makes people “hit the wall” of disbelief’s, especially if you, like me, had people around you who did not believe in you. This question requires that you tune into your heart and let the vision of what you want appear. I have spent quite a bit of time the past couple of years focusing on just that. I now know that my mission is to help people who have had to overcome adverse childhood experiences shine their own light. Even in the midst of life and business daily “to do’s”, focusing on what matters will bring you a sense of peace. Until we see each other again.. may you find passion and compassion in your heart! This is the season for your light to shine despite nature’s darkness. Holidays.. Christmas, Hanukkah, Kwanzaa, Winter Solstice…. It happens to be the season where the days are the shortest and nights the longest. Have you ever been in what Thomas Moore calls the “dark night of the soul”? This can happen at any point in time, in life or business. There are moments when something breaks down; health, life, business, career, family etc. Not just a little bit.. a lot. Like going through a divorce, having a life threatening illness, financial bankruptcy, an accident, losing a family member. These moments call you to dig deeper and go to the source of who you are. You are being asked to reconsider your priorities, recalculate your “route” like the GPS in your car reminds you so faithfully when you missed the turn or the exit. The only caveat is that when these things happen, you haven’t missed anything, it is simply life calling you to move forward from a deeper place. There is no need to wait for those moments to happen! Every year, I use this time of the year to come back to myself and ask those deeper questions. As we turn the page into a new year, it is a good time to reflect and ask yourself if you need to “re-calculate” your route. Are you on point with your purpose? Do you feel “off track” with your intentions? Have you let the most important things in your life fall by the wayside, leaving you feeling dissatisfied or unfulfilled? This year, I’ve recorded my process for you, so you can re-assess and orient your goals so 2017 can be your best year yet. If your answer is YES to any of my questions, I encourage you to take the time to connect with your aspirations and goals on a deeper level. You CAN align your actions with your purpose! Make 2017 the year you shine your light the brightest. If you are interested in going deeper in finding the answers to those questions or similar questions, I invite you to join me for a 3 part workshop series, “Change Makers On Fire”. Go Deeper, New Workshop Series Starting in January! I invite you to join me for a 3 part workshop series to go deeper and align your body, heart & mind with your life purpose & business. If you have been a coaching client of mine in the past, you get to take any of these workshops or ALL OF THEM for FREE!! Align your health to bring your wealth into manifestation in 2017. Get inspired to dream big for 2017 by connecting to your soul centered purpose for your life and work. Create the plan to make it happen. Make money by creating a simple marketing/promotional plan that ignites your fire by aligning your work/business with your heart centered purpose. Set achievable goals to make it happen. * For past clients, please email me directly to register! May you spend time during this holiday season reconnecting with what is truly meaningful to you! May you be happy, healthy and fulfilled! May there be peace into your heart! 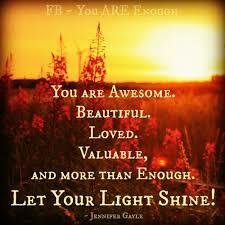 Let your beautiful light shine into this world, the way only you know how!